There are many different factors that go into a decision to invest in a proactive social responsibility program—maturity, financial health, future prospects…and willingness. How hard is it to do business with us? Do we treat suppliers with respect and care about them as a long-term partner? Is the relationship collaborative or one-sided? Vendor sentiment can be a barrier or facilitator to change. 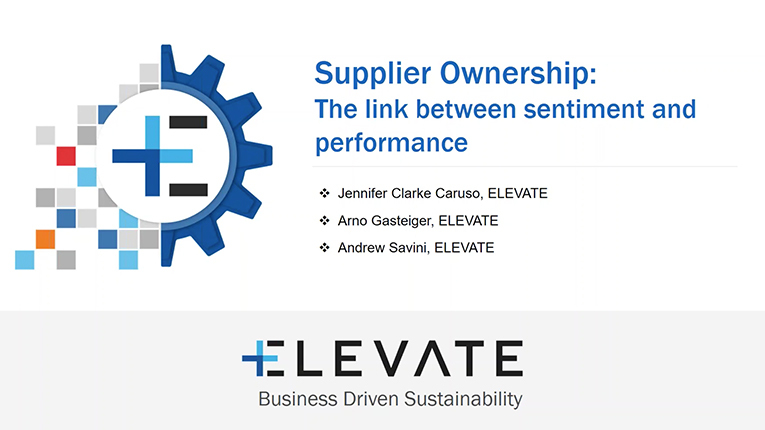 Our experts Jennifer Caruso and Arno Gasteiger will share more about vendor sentiment on this ELEVATE Webinar, and how managing it can play an important role in suppliers taking ownership of their programs.